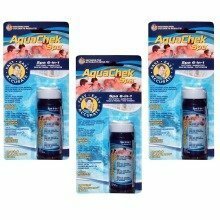 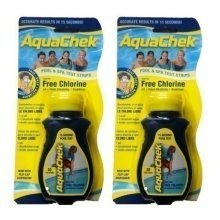 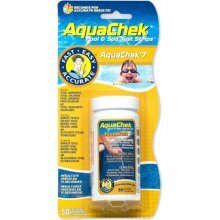 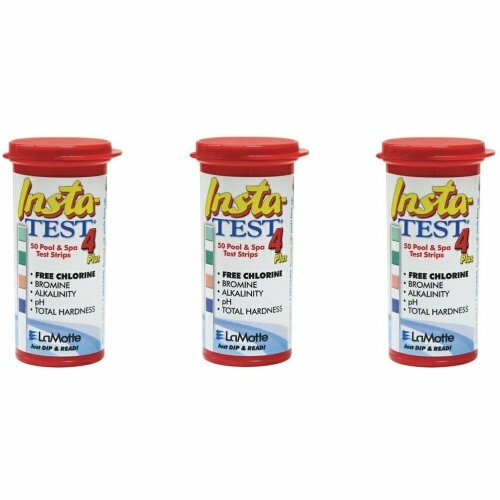 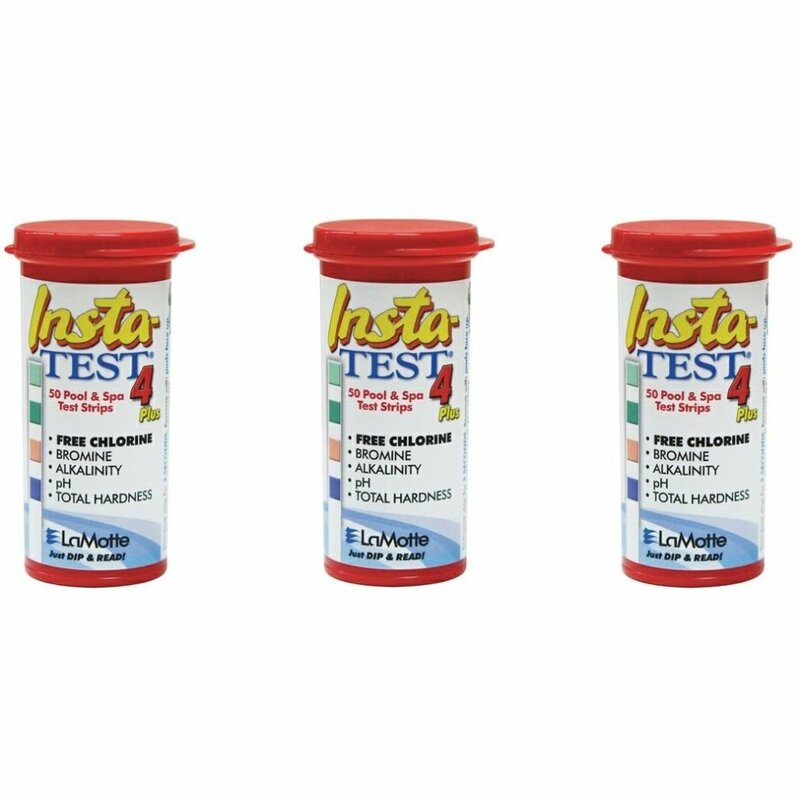 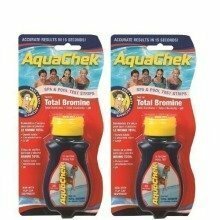 Get your pool, spa or hot tub ready for use with these LaMotte Insta-TEST 4 Plus strips that allow you to keep an eye on the water and make sure it's ready to dive into! 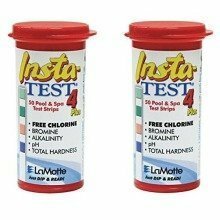 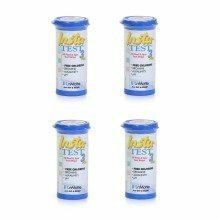 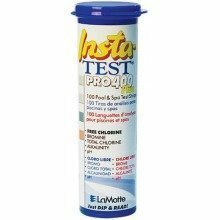 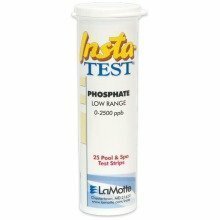 These Insta-TEST 4 Plus test strips by LaMotte test for chlorine (0-10 ppm), bromine (0-20 ppm), alkalinity (0-240 ppm), pH (6.2-9.0) and total hardness (0-800 ppm) - so nothing will slip under the radar and pass you by. 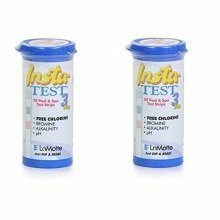 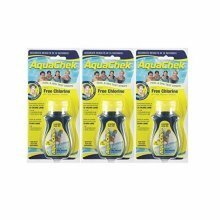 Each of the three waterproof 'PopTop' bottles contains 50 test strips and is specially designed with a liner that offers protection against moisture and UV light - so you can keep them close and on hand without the worry of splashing them. 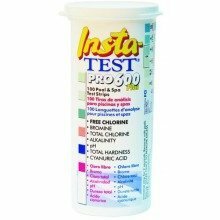 Perfect Retail Have a question? 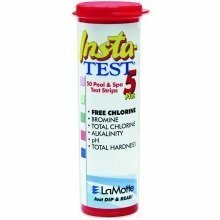 Easy to use - just dip-n-read! 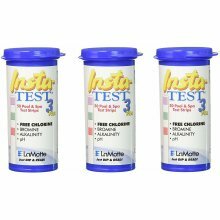 Have these Insta-TEST 3 Plus strips at the ready! 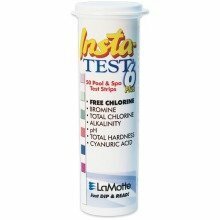 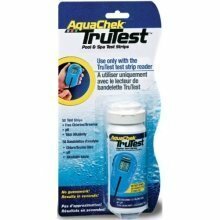 The only test strip with no required waiting period! 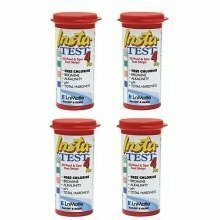 PopTop caps are easy to open and shut - guaranteed for 1,000+ openings. 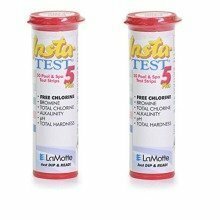 No waiting time - instant results! 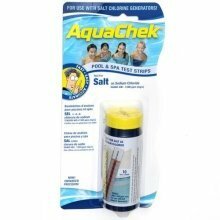 No waiting around - just dip the strip & read the results! 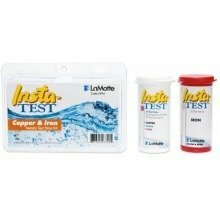 Simple to use: just dip-n-read!